Chennai Super Kings(CSK): Ambati Rayudu’s dismal run prompted the think-tank to open with du Plessis and push the India batsman to No. 4. Things are unlikely to change with the hosts expected to go in with the same side that won against KXIP. Faf du Plessis, Shane Watson, Suresh Raina, Ambati Rayudu, MS Dhoni (c, wk), Kedar Jadhav, Ravindra Jadeja, Deepak Chahar, Scott Kuggeleijn, Harbhajan Singh, Imran Tahir. Kolkata Knight Riders(KKR): Harry Gurney’s man of the match performance in his IPL debut game should keep Lockie Ferguson out of the playing XI. The track should also suit his variations and he’s going to be a valuable addition to an already potent attack troika. 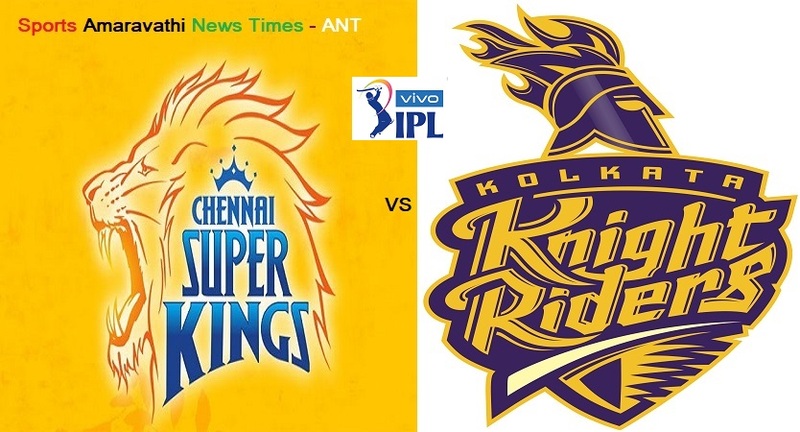 Vivo IPL 2019 CSK vs KKR 23rd Match Cricket News Updates. Vivo IPL 2019 | Chennai Super Kings(CSK) vs Kolkata Knight Riders(KKR) 23rd Match Cricket News Updates | Indian Premier League 2019.